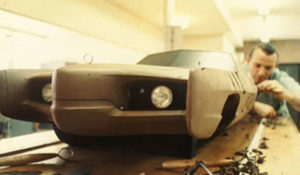 From the movie, LeMans. This is the same car driven by John Thomas that is featured in the sound files recorded by Mike Parris at Riverside International Raceway in 1980. The first audio file was posted before, but the second one, Four hot laps around Riverside, was recently acquired from driver John Thomas. You’re in a 917K as it comes out of the pits, follows a 908 around for a lap, and then at about the two minute mark, watch out. Great in-car video from Monterey, 2009. Complete with on-screen G-meters. 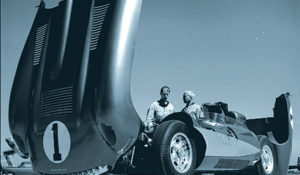 Don’t miss the racing scenes from the movie Le Mans with Steve McQueen that were posted previously on Dean’s Garage. Thanks to Bruce Canepa of Canepa Design. There are more in-car videos at Canepa Design. It was a hot afternoon at Riverside Raceway in Southern California and L.A. Times owner, Otis Chandler, had rented the track for the day. 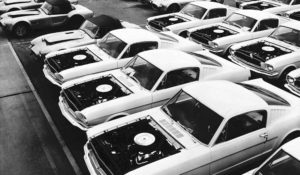 He and a number of his vintage car-owning friends would have the classic road course to themselves to play with GT-40s, Cobras, Lolas, and some Porsches from Chandler’s collection. 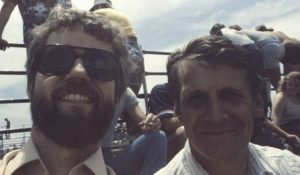 I had been invited out for a second time, as some months earlier I had taken photos of the Chandler cars for some magazine spreads and had become friends with him and his friend/IMSA driver, John Thomas – better known at J.T. I was making the best of the photo opportunities and ended up with some great images but J.T. had also promised me a “couple of good rides” at some point during the day. 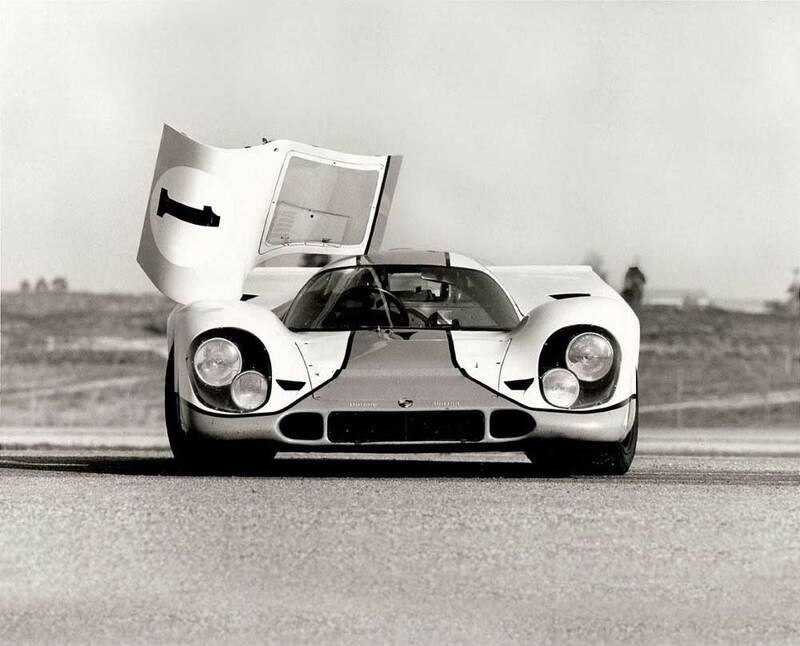 The first ride was in the glorious 917-K, the number 20 car driven by Steve McQueen in the movie Le Mans. It was a tight wedge getting in the “passenger seat” – obviously not meant to be inhabited by humans. Once in the cockpit, J.T. handed me a tape recorder and asked me to handle taping a few laps with some commentary. This came in two sessions; four warm up laps in the morning and another four laps “at speed” during the afternoon. This was the final, on-the-edge laps bumping a little over 160 mph on the back straight. Firing the big, flat 12 Porsche engine sent a chill up my spine, partially because it sounded so great but also because it was sitting about five inches behind my neck! There was plenty of vibration and noise, but good noise. Slipping the clutch to get out of the pits, J.T. began a quick warm up and was starting to hit his stride by the time we got to turn seven. Double clutching and down-shifting into seven, he asked if I had enough room – we were looking akin to Siamese twins at this point – and I said, “Of course,” just happy to be in the iconic Porsche. By the time we came out of turn eight, a tight 110 degree hairpin, J.T. was into the first of four gears at full throttle and distinct over steer, revving past seven grand going on to the back straight. Pinning me against the back of my seat, John took it quickly through the gears as the desert scenery was fast becoming a blur. Entering the dog leg going in to turn nine, we were now going back down through the gears, toe-and-heal, with the brakes whipping us from left to right. 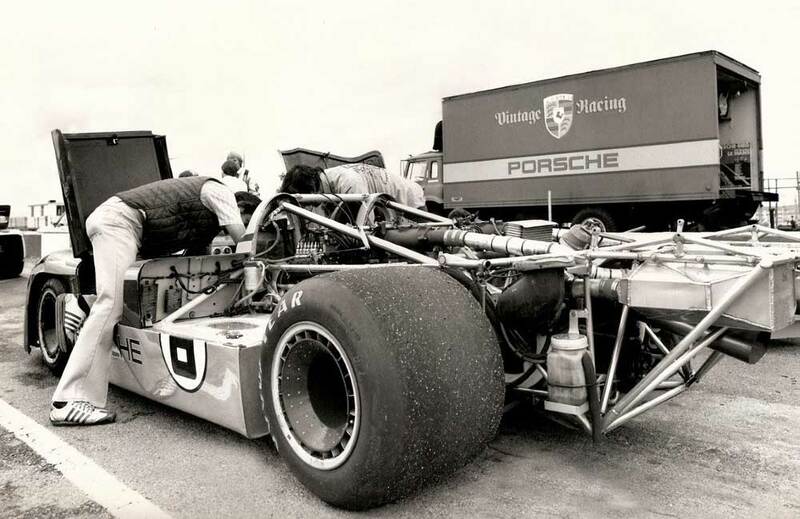 There was a crudeness to the 917 that gave most drivers a love-hate relationship with the vehicle. It had tons of pure, raw horsepower but had to be finessed and sometimes manhandled, making it both fun and tiring to drive. Sweeping through nine was an experience as my side of the vehicle came within a few inches of the concrete retaining wall under full throttle as we headed to the start finish line. What an adventure. 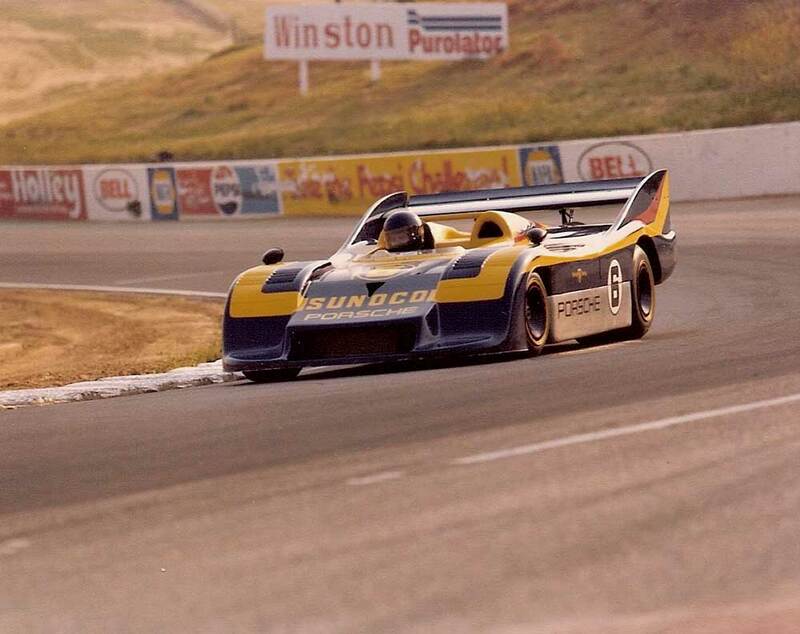 I rode in the Sunoco 917-30 Can-Am car later in the day and while it was no doubt faster and more refined, it couldn’t hold a candle to the 917-K in pure automotive ecstasy. It’s just hard to describe, but between the sound and the raw power, nothing else even comes close. All I can say is, that was one fine day at the track. 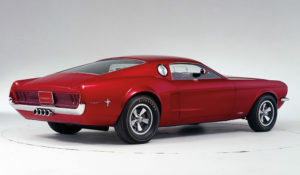 This car belonged to Otis Chandler, and was the same car driven by Steve McQueen in the movie LeMans. Thanks to Mike Parris and John Thomas. 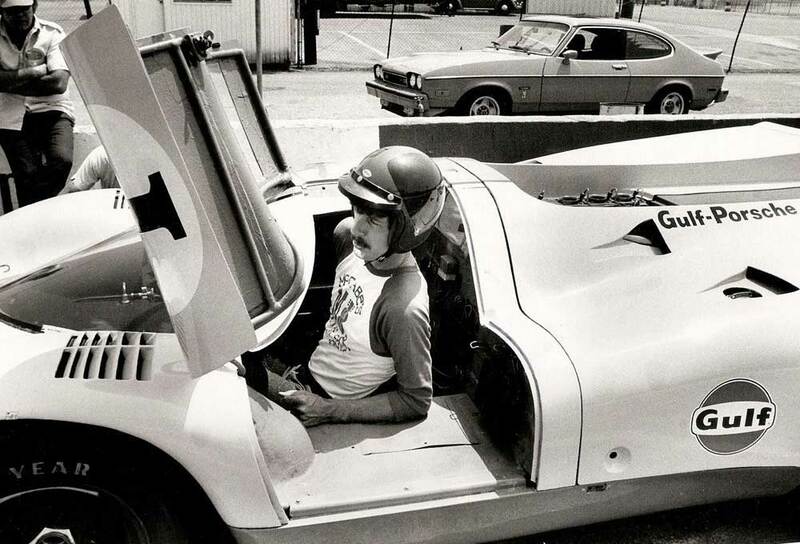 Click to listen: Two warm-up laps around Riverside in Otis Chandler’s 917K. Narration by Mike Parris. Click to listen (Recently acquired sound file from John Thomas): Four hot laps around Riverside in Otis Chandler’s 917K. 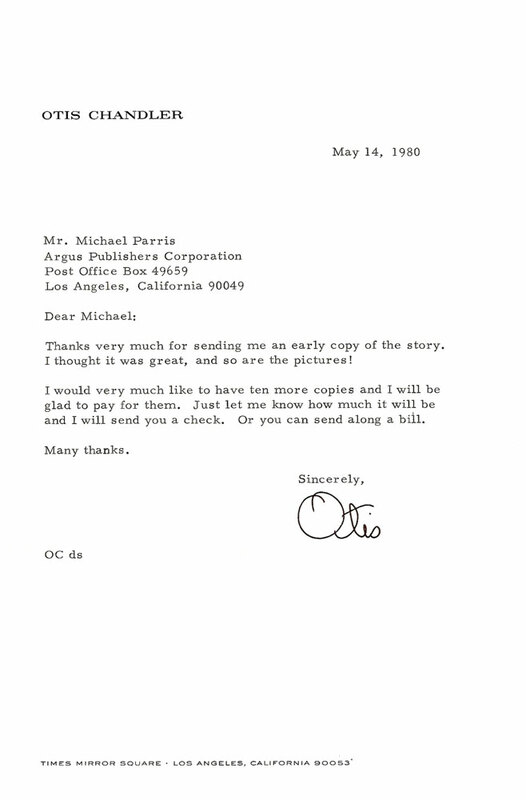 Narration by Mike Parris. I think I was there the same day. I got two or 3 laps around Riverside in the 917-30 driven by John Thomas. Heck of a driver (great guy). 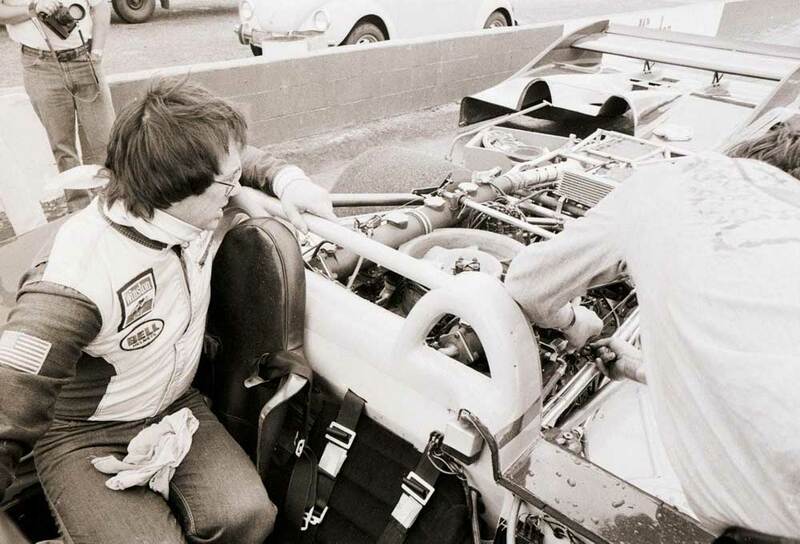 On another occasion Otis drove me around Willow in his 935, which was a thrill. 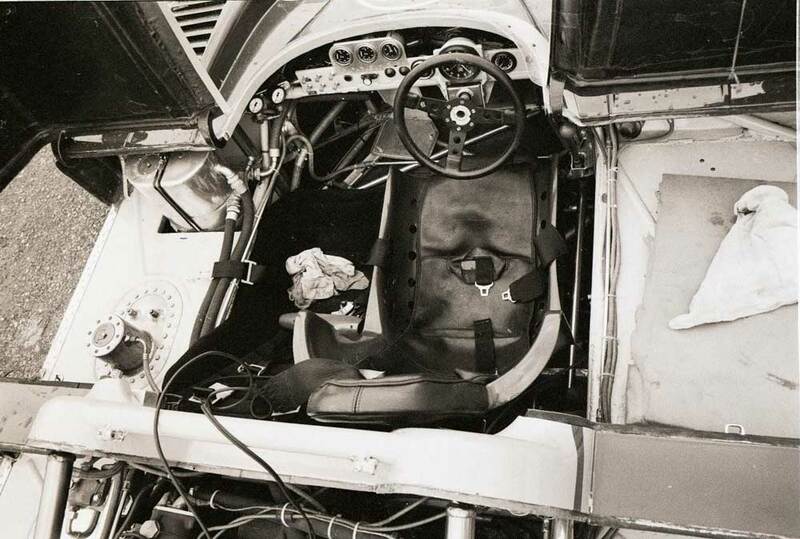 I actually got behind the wheel of the 917K on another occasion at Riverside — and I steered the car while it was moved about 6 feet for better position for a shot in the magazine story I was doing. That’s not much of a drive, admittedly, but it was probably a good match for my skill level. 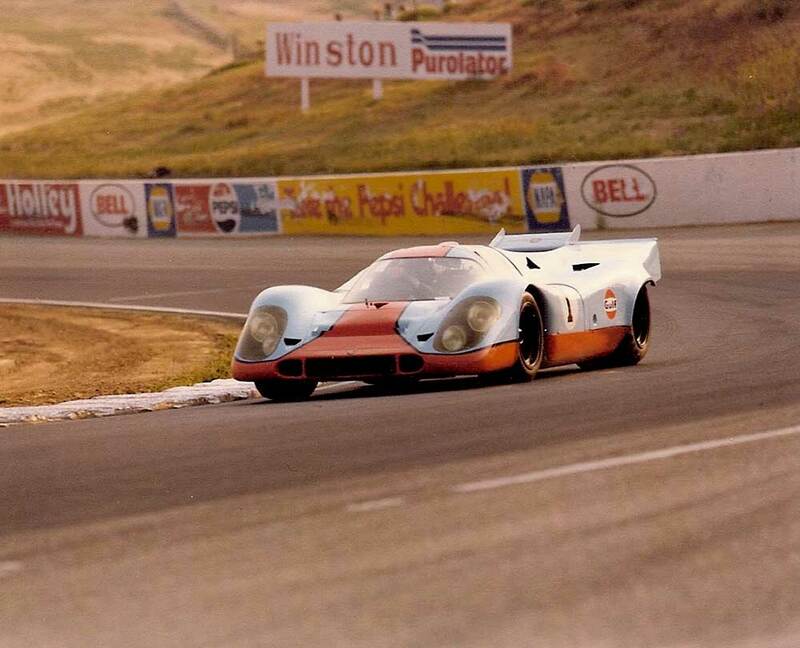 John said the 917K was really a beast (that wasn’t his word) at Riverside – and would try to put itself against the wall on the back straight, which was why he loved it. 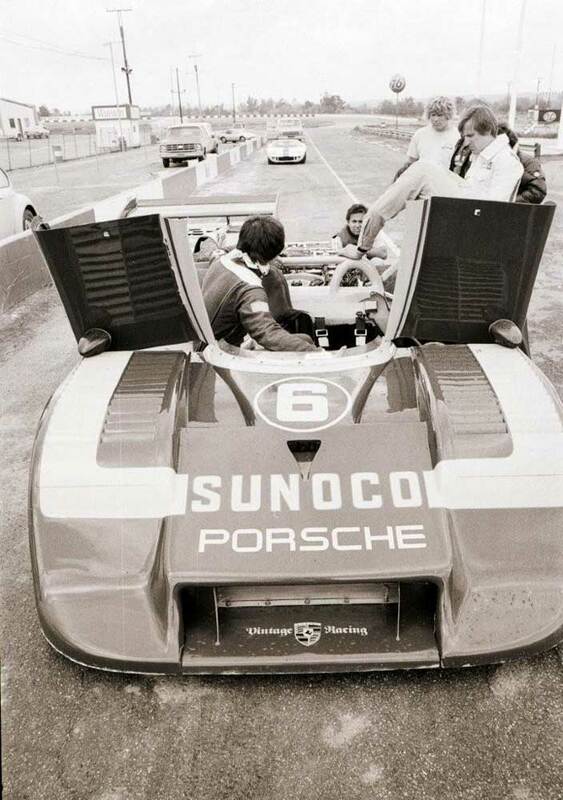 I’m not sure where that 917-30 – (the Penske-Donahue #6) ended up, but I treasure my ride in it. And my wheel time in the K.